Form Gadget is the fastest tool for building web forms to collect data and integrate with the most widely-used CRMs and apps. Get started and finished in minutes, and get back to the things that really matter. 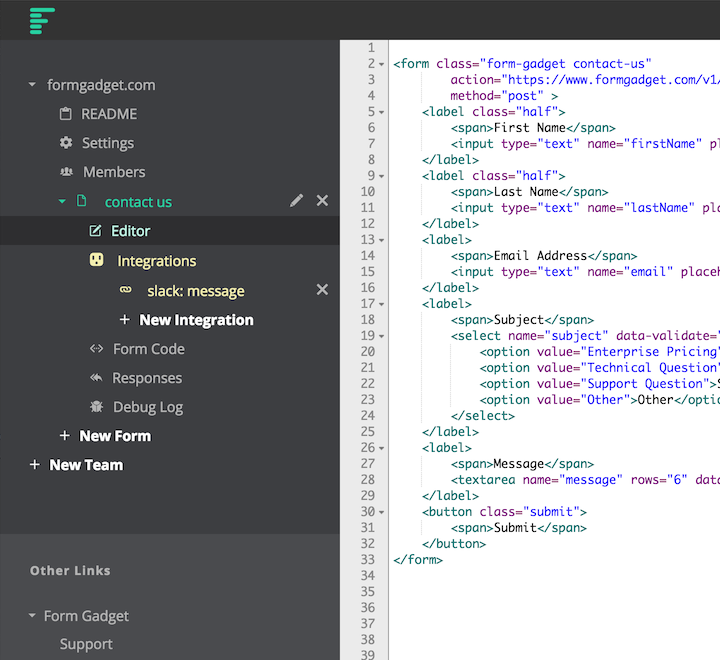 Getting started with Form Gadget. 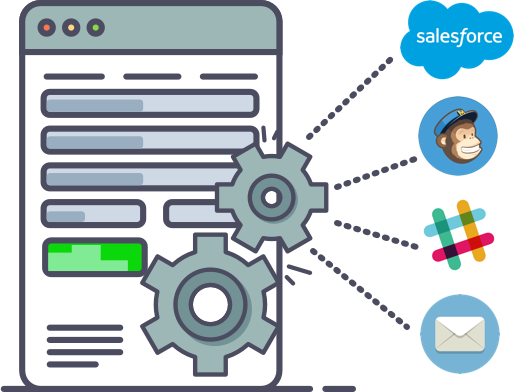 If you'd like to see how you can integrate third party web services, see our Salesforce, Mailchimp, and Slack videos. Form Gadget has already taken care of writing validation code on the backend and frontend, that lets you get the form built — fast. Software is built in teams, add team members and transfer ownership quickly and easily. Build your form by writing your own html with a few special data attributes, and quickly connect to 3rd party apps. Drop Form Gadget into your site with a line of code, and use your CSS to add styles. Whether you’re developing for clients or your own company, cobbling together tools to create integrated forms gets expensive. With Form Gadget you'll have a single service that does both, meaning 1 bill that's less expensive than using multiple services (Avg. savings of $193) and less development time spent building what you need.